Our downtown has some pretty nice lights at night. 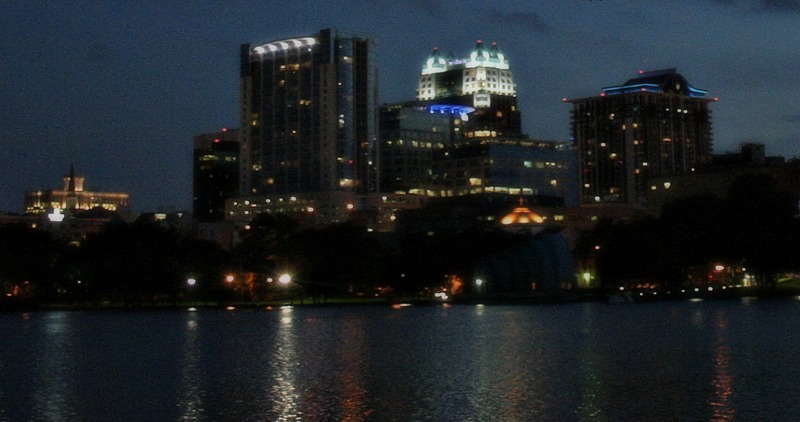 This was taken from the other side of Lake Eola a few months ago. With the weather cooling it’ll be nice to go downtown more to enjoy the wind, the water, and the lights. and to watch all the crazy drunk people stumbling around downtown. We’ll get pizza and something to drink and pick a busy intersection to watch the freak show go by. Big fun.